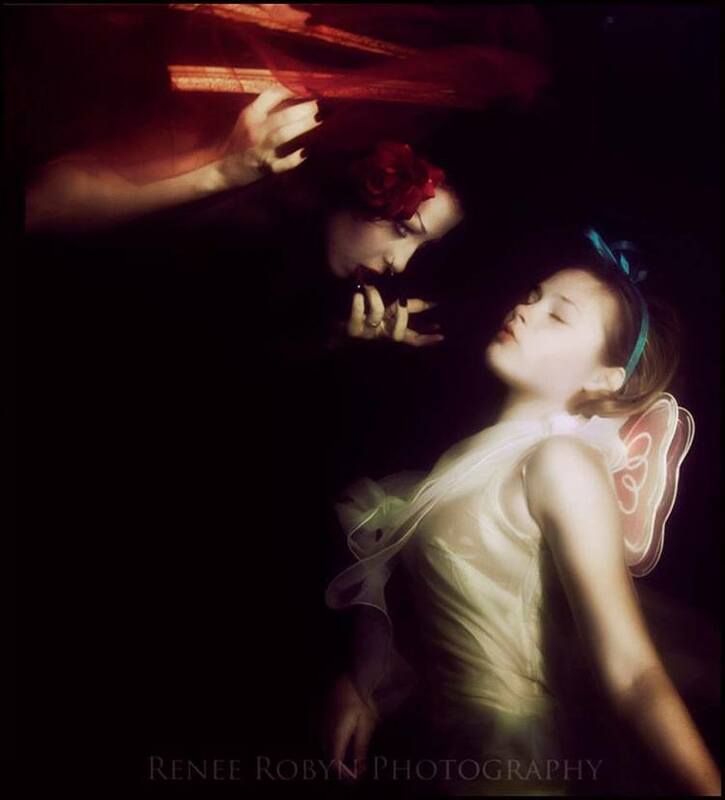 In this installment of the photographer interview series we're talking with photographer and digital artist Renee Robyn. Renee Robyn is Canadian born and bred. Her career started out years ago in the modelling world but later she swapped sides of the lens. Her style has developed into an ethereal combination of fact and fiction, merging together expertly shot photographs of unique and interesting subjects with hours of meticulous retouching in Photoshop to create easily recognizable imagery that is both stunning and distinctively her own. Learn to appreciate the cycle of being a creative and stop putting so much emotional weight on comparing what everyone else is doing versus you. It's your life, your own path, make the most of it, and forget the rest. Figuring out photomanipulation was my biggest one. It took a while, but once I learned what was possible at my finger tips, it changed my entire process. I'd seen what digital artists could do, but most of them weren't photographers. So, being able to put the two pieces together really helped. As far as who caused that change? Probably a few hundred hours browsing the talented people over at deviantART. There's millions of them! Booking a pretty face because she had exactly what I wanted and attempting to ignore her absolutely abysmal personality. It was one of the few times I almost quit photography, the experience was so horrible it's something I never want to repeat. I'll book someone who's not quite what I want with a great attitude over someone who is exactly what I want but a bad match in the personality department. 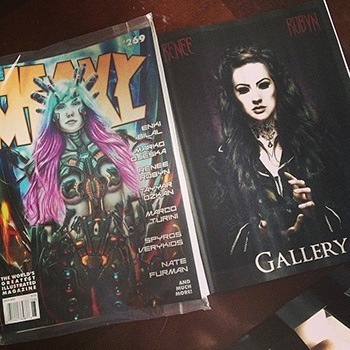 I've been reading and admiring the artists within Heavy Metal Magazine ever since I was a young teenager. The artists that have graced those pages have influenced me greatly. Getting an artist gallery in there this summer was definitely something 16 year old me never would have imagined. I did more than a few happy dances when they first contacted me, and again when I finally saw it in my hands. Lofty goals sometimes do happen! Photoshop, does that count? I can use whatever camera, lens, light… I'm not really tied to a specific brand. But, without Photoshop, my images would look much different. I'd say my favourite image is the one I haven't made yet. 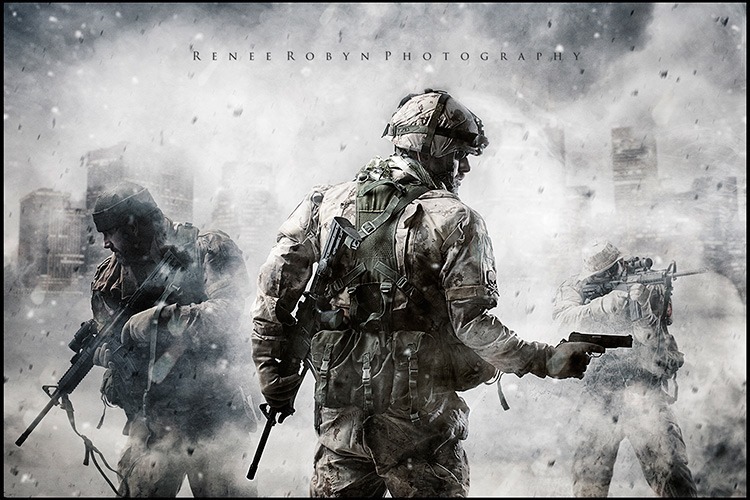 However, I did some Call of Duty fan art with a friend of mine that literally resuscitated my career in photography from a massive creative burn out. 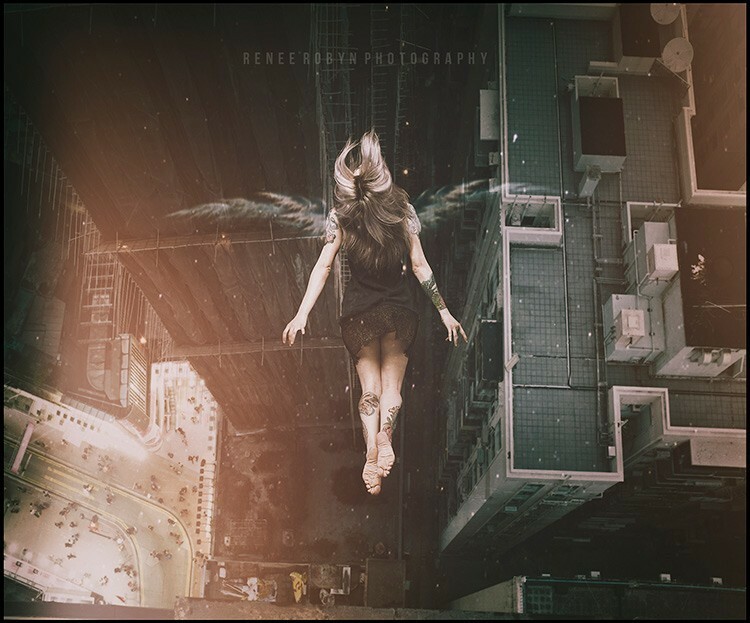 There's also the girl jumping off the building with the semi translucent wings… I'm emotionally connected to that one as well, and I wrote a short post about it. Long story short, it represents what it's like to do something against the grain and against every ounce of your previously programmed self. Benjamin Von Wong's underwater work in Bali just kills me… I love underwater shooting, and he blew anything I've ever done completely out of the water – no pun intended. It's really inspiring, and having shot underwater myself, I can appreciate how much effort goes in to creating images when there's no oxygen and limited communication. Images like that really push the boundaries of what's possible with people who are committed, talented, and giving everything they can in the name of something bigger than themselves. Stop comparing your behind the scenes to everyone else's final edit. Everyone knows something you don't, there will always be someone better, there will always be someone worse. Learn to appreciate the cycle of being a creative and stop putting so much emotional weight on comparing what everyone else is doing versus you. It's your life, your own path, make the most of it, and forget the rest.